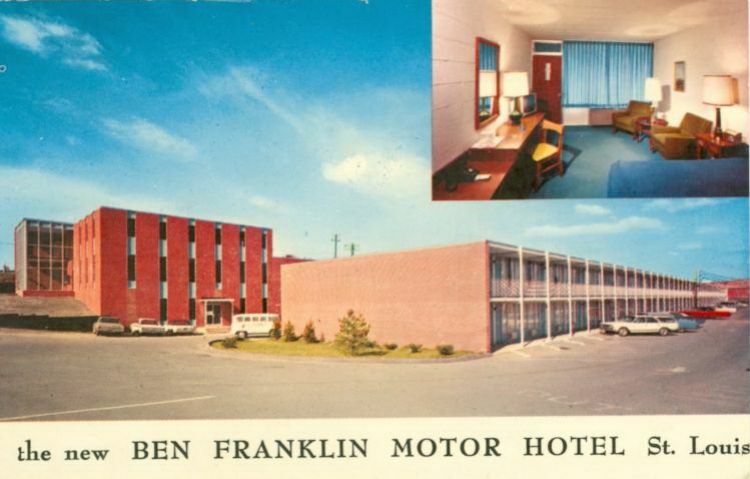 The Ben Franklin Motor Hotel was constructed in 1964-65 at 4645 N. Lindbergh. "150 new economy rooms: commercial and family rates. NEW, and including cafeteria, lounge and meeting rooms. Convenient" Near midwest's largest shopping center (1 mile); Lambert Municipal Airport (5 min. with courtesy pickup). The hotel was torn down in 2001 for construction of the new runway.